Here are Antigua Shore Excursions in 2019 for cruise ship passengers docking at St Johns Cruise Port! See the best of the island, relax on the beach or enjoy exciting activities: there's something for everyone! A fascinating Antigua shore excursion that will take you to all the exciting places on the island including the Nelson’s Dockyard National Park is the Round Island Tour. Your 3.5-hour journey begins with complimentary pick-up service at your port of call. Once you meet your expert guide you will travel through the lush countryside of the island viewing fauna and flora like you have never seen. 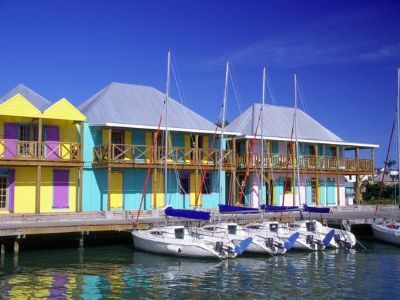 When you arrive to the Nelson’s Dockyard National Park you will be given time to explore the historic setting of buildings which include the Sailmaker’s Loft, Mystery Pillars, an art gallery, the Admiral’s Inn and a lumber as well as a Cooper store. Stroll to the Blockhouse Ruins and look at the numerous yachts that are docked within the English Harbor and the Atlantic Ocean. Afterwards you will take a short drive to Shirley Heights where you will have a panoramic vista of the Dockyard’s, the lush landscape and the island of Montserrat. Your Antigua shore excursion concludes with free drop-off service back at your port of call. Scooter Snorkeling is one of the best Antigua shore excursions to try when you are ready to experience the underwater world that is loaded with marine life and a fun swim through course. Your 3 to 5-hour adventure begins with complimentary pick-up service from your hotel or port of call where you will be transported to Galleon Beach. Once at the beach you will learn how to operate your scooter snorkel and be outfitted with snorkeling gear. The scooter snorkel is an ideal piece of equipment that will help you navigate through the underwater world allowing you to spend more time witnessing the superb marine life in the crystal clear waters. As you follow your expert guide through the water, you will be amazed at the marine life that includes green sea turtles, octopus, sea urchins as well as conches and there is even a shipwreck. After you view the unique rock formation known as the Pillars of Hercules you can also try scooter snorkeling through a challenging swim through course which is perfect for that friendly competition between friends, families and couples. Your Antigua shore excursion concludes with drop-off service at your port of call or hotel. 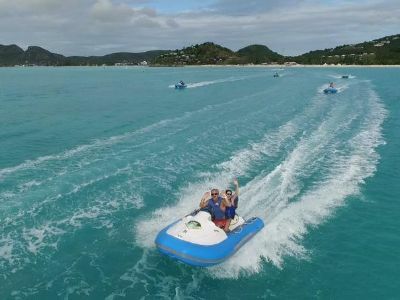 When you want to experience the incredible marine life that surrounds the island and have some fun driving your own motorboat, then the perfect Antigua shore excursion for you is the Antigua Reef Riders Self-Drive Boat and Snorkeling Tour. Your 2.5-hour journey starts with complimentary pick-up service from your port of call. From here you will be transported to Jolly Harbor where you will be given instructions and safety lessons on how to maneuver your boat over the Caribbean Sea. Once on board you can let the throttle go and race across the water on your way to Cades Reef within Antigua’s National Marine Park. On your excursion you will view interesting sites along the way which include Ffryes Bay, Johnsons Point, the Valley Church Bay and you can wave at the people on Darkwood Beach. When you reach Cades Reef you will have 45-minutes to snorkel through the warm waters underwater while viewing marine life like sea turtles, lobsters, stingrays, numerous tropical fish and colorful coral reefs. Afterwards you can throttle your boat up on the way back to dock and where your Antigua shore excursion concludes with a free transportation back to your port of call. If you just want to relax and be pampered while everyone else enjoys the beach and warm waters of the Caribbean Sea, then an ideal Antigua shore excursion for you to try is the Ultimate Massage Experience at Valley Church Beach. Your adventure starts when you arrange for a taxi to take you from your port of call to Valley Church Beach. Here you will notice plenty of activities on the beach from jet-skis to swimming to kayaks. Once you check-in at Pam’s Wellness Centre you and your partner will be assigned a time for two 30-minute massages. You can relax while receiving your massage and plan more activities for your stay at Valley Church Beach. The excursion is a perfect way to spend the day away from your cruise ship or hotel and enjoy one of the best beaches on the island. Your Antigua shore excursion concludes you arrange for taxi service back to your port of call. 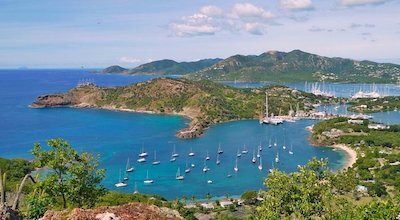 An ideal Antigua shore excursion for people that want to soak up the sights of a charming Caribbean town that is loaded with history and culture is the City of St. John’s Sightseeing tour. Your 3-hour walking tour begins when you meet your experienced tour guide when you disembark from your cruise ship at your port of call. From here you will be transported to the city center where you will follow your guide as they tell you interesting stories about the history and culture of this Caribbean island. During your tour you will be given plenty of time to shop for souvenirs and for duty-free goods at the Heritage Quay Center as well as visit the local market where you can indulge in the island’s specialty cuisine which is sure to include spicy jerk chicken. When you are finished walking the quaint city streets you will be transported back to your port of call where your Antigua shore excursion concludes. 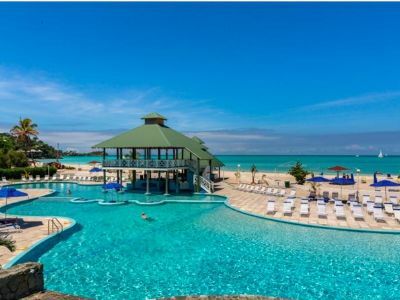 A delightful Antigua shore excursion for people that want to spend time playing in the Caribbean as well as relaxing on a white sand beach is the All-Inclusive Jolly Beach Resort and Spa Pass Tour. You will begin your excursion by taking a 20-minute taxi ride from your port of call to the Jolly Beach Resort and Spa. Once at this stellar resort that resides on a 1-mile stretch of white sands, you can decide on how much time to spend. While you are at the resort you will have full all-inclusive rights to use the beach equipment, swim in the pool and you have access to complimentary non-motorized watersport fun. Your all-inclusive pass also includes unlimited food and drinks. You will find a breakfast and lunch buffet with enticing treats as well as plenty of snacks at one of the grills. When you are finished lounging, eating, drinking and playing in the Caribbean Sea, you can arrange a taxi ride back to your port of call where your Antigua shore excursion will conclude. 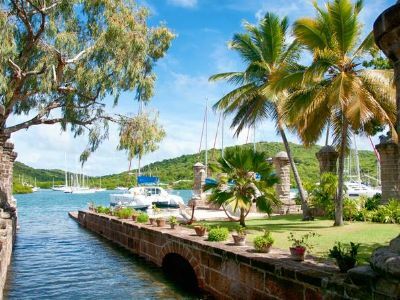 A superb way to learn more about the culture as well as history of Antigua and Barbuda is to take the Antigua shore excursion: The True Antiguan Experience with Lunch and Beverages. Your 4-hour adventure is ideal for people who want to take in all the sights of the island as well as lounge on a white sand beach while you learn all about the islands. You begin with complimentary pick-up service from your port-of-call by a local guide who will explain interesting facts about the islands while you drive to your first stop. You will drive through St. John’s the nation’s capital viewing spectacular historic architecture such as the baroque towered St. John’s Cathedral. From here you will travel to a 16th century private home packed with period furniture and exhibits that explain the lifestyle of the early settlers of the island. After a nice cup of herbal tea you travel to a local pineapple farm where you can take a tour of the grounds. Next is a trip to Fryes Estate where you will see two historic sugar mills before heading out to a private beach. At the beach there are a variety of watersports you can experience as well as a complimentary West Indie lunch which will leave lasting memories of your perfect day. The Antigua shore excursion concludes with drop-off service back at your port-of-call.